The best way to get to know a community is by scheduling a tour. See the facilities, meet the staff and residents, and get a feel first hand what it's like to live at Summit Senior Living Assisted Living. 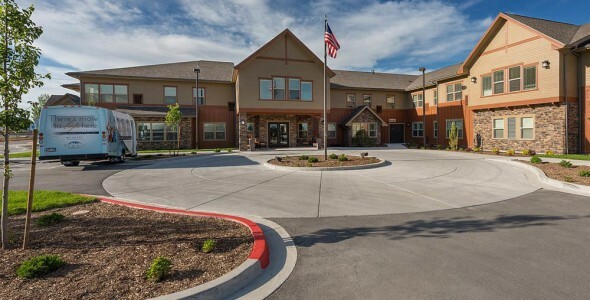 Summit Senior Living is a 2-story, senior housing community which consists of 75 independent and assisted living apartments and 36 memory support suites within a 94,000 square foot building. Within this building there are 44 different and unique floor plans to cater the apartments to each senior's needs or desires. Our care services are based upon the individual need of the resident. A health assessment is conducted upon move-in so our care staff can design a program of assistance that is personalized for the resident. Our care fees are $50 per point. Each point equals three hour of care per month and can involve assistance with personal care needs. We can cater to the most independent senior to the frailest of the frail. For residents who suffer from Dementia, Alzheimer’s, or other brain injuries, we offer a state-of-the-art secured neighborhood with all-inclusive care.